This Easy DIY Wood Compost Bin tutorial will help you get started on your composting journey! 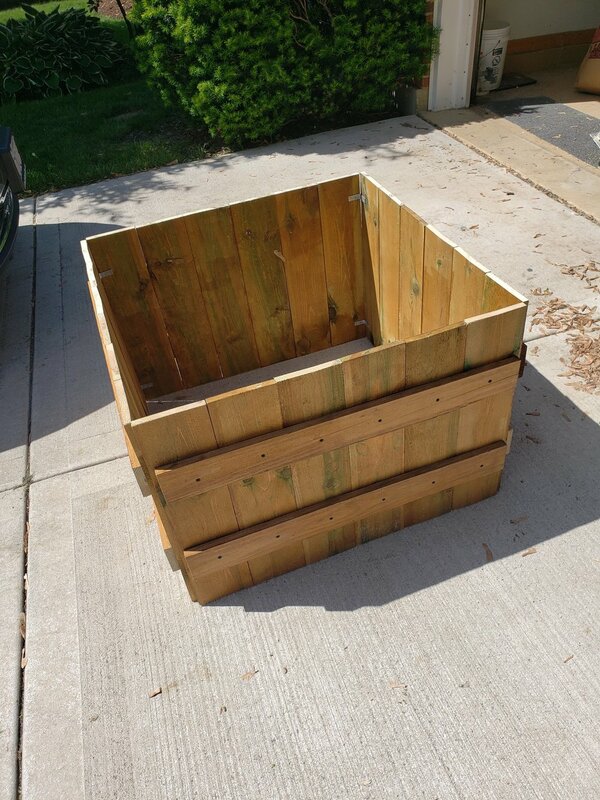 This wood composting bin is perfect for your backyard and can be customized to be the right size, small or large! Read further for the step-by-step instructions on how to build it as well as how to get started with composting! After months and months of thinking about it, I finally decided to start composting! I’m so excited because it’s basically a win-win-win. It reduces waste, it helps my plants, and its easy & free. I decided to make my own bin for the outside and I wanted it to look semi-nice. I didn’t like the look of the garbage can with the holes in it but also needed it to be small and functional. So, I got some wood in the outdoor section at Lowe’s and stained it (so when I eventually build garden beds they will match!). To make it easier on myself, my intention was to just use all the wood and let the bin end up being whatever size that ended up. My husband had the design in his head so he was the one with the real plan, but assured me it would be the right size. The bin did turn out to be bigger than I thought...but that’s what I get for letting my husband do the math lol The good news is that the size doesn’t really matter and we end up with a TON of yard waste and food waste, so I think we will fill it up just fine! Cut the fence wood into thirds. We measured the length of the wood, subtracted out the decorative top, then divided the length by 3. So, the pieces with the decorative top would be slightly longer than the other pieces. We cut the pieces 2 ft 11 ⅝ in long. Cut the 1x4 pieces of wood to about 2 ft. 8 in. long pieces. (You need 8 pieces total). If you choose to use less fence pieces (we used six - see below) cut this wood to just slightly smaller than what you choose. 5. 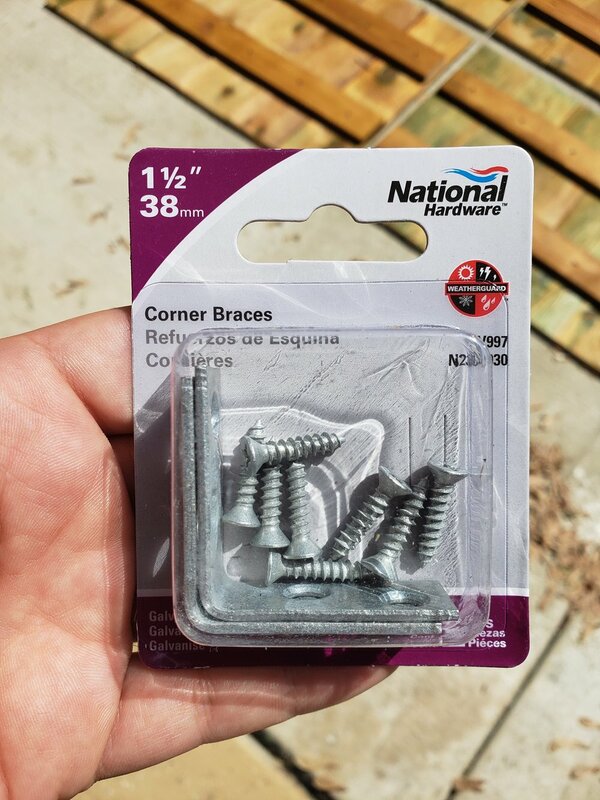 Attach the pieces with the corner brackets (2 per corner) so the 1x4 pieces are on the outside. 6. Screw the top pieces of the fence wood (the more decorative pieces) to the outside evenly spaced around. Use 4 pieces per side. Once you have a bin, you are ready to compost! Wish me luck!